Past Voices: Letters Home - Letter from Phillip and Bettey Boardman to Alice Marsh Moore. dated 21 Feb 1836, From No 20 Lupton Street Bolton to James Moor Dearbumville Wayn County, Michigan Territory, America. 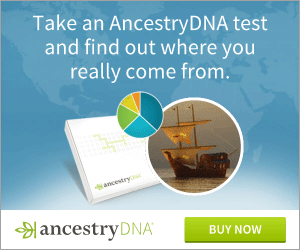 Find your ancestors and learn their history. Letters from Phillip and Bettey Boardman to Alice Marsh Moore. Alice and Bettey were sisters. We now take the opportunity of riting these few lines hopeing they will find you in good health. I cannot say that we injoy the best of health at present your sister Bettey has had a verry bad bad winter. She has had a inflammation on the lungs and a pleura fever along with it and it has gone verry hard with her. She has not yet got through it. We received a letter from Marey, your brother Richards widow, dated January 17 and she said she had a letter from you and you wished us to rite to you we shoud have writ before now but we did not know where to direct too we have not had a letter from your brother William seventeen months the last letter that he sent he thought of gowing into the country and we did not know where to direct for him but we coud like you to send to us twise a year at the least and let us know how you are getting on and all perticklers about the New part of the world you are in. Old Bettey is yet liveing at Dean Church and Bill and Jane along with her they have sold up for Kent your Uncle William Bullow (Bullough) is dead and burried and your Aunt Mary Whorthington there is not much news here at present. NB Plase to answer this as soon as possible. Notes: James Moore and Alice Marsh were my 2nd great grandparents on my father's (Felix McKean) side. They were my grandmother, Alice Moore McKean, grandparents. Her father was William Boardman Moore. JAMES MOORE was born near Dublin, Ireland, about 1800 and died Dearborn Tp., Wayne Co., MI, 6 Sep 1873. His mother died and his father remarried, and finding it difficult to get along with his stepmother he left home and came to America. He never heard from his family and rarely spoke of them. He went first to Boston, but after about a year he went to New York where he married in New York City about 1827 Alice Marsh,who was born Bolton, Lancashire, England, 29 Apr 1800 (christened 5 July 1800) and died Dearborn Tp., Wayne Co., MI, 8 Aug 1871. Alice was the daughter of Richard and Nancy Ann (Morris) Marsh (Information from records of the Dean Church, Bolton, Lancashire, England). From the records of the Deane Church on the Bolton and the above letters you can figure out Alice's brothers and sisters: Thomas, born 20 Aug 1788; Betty, born 9 July 1791 and married 2 Aug 1807 William "Philip" Boardman; Lucy, born 118 July 1795; William, born 3 Feb 1798; Peter, born 6 Apr 1803; Richard, born 28 Apr 1804 and married 3 Jan 1825 Mary Riley; Mary Ann, born 15 Nov 1806. Alice's mother, Nancy Ann's, sister, Ester Morris, married 9 Apr 1776, Thomas Bollough. Ester and Thomas's daughter, Mary Bollough, who was born 25 Oct 1777, married 6 June 1797 Richard Worthington. The reason for this information is that these people are mentioned in the above letters from Alice's sister and brother-in-law, Betty and Phillip Boardman. The family history has it that Alice's maiden name was Bordman and that she had married Peter Marsh when she was very young and had two children, Nancy and Maria Marsh. Peter was to have died young and she supported herself by weaving and when it became known that cloth could be manufactured she thought her way of making a living was blocked, but she was mistaken for there was a greater demand for hand woven goods. She sold everything that she owned to get enough money to come to America with her two children and an uncle, William Marsh. From the Deane Church records on the birth of Nancy and Maria, only Alice's name was mentioned. Also from the before mentioned letter from her brother, William Marsh, it was not her uncle William, that she came to America, but her brother, William. Alice started a store in New York, her first investment being one dollar, but although this amount seems small, she increased her stock, and when she married James Moore she had a thriving grocery store. After their marriage they continued to manage the store until 1834 when they emigrated to Michigan. As soon as navigation opened, in the spring of 1834, they traveled up the Hudson River to Albany where they embarked on a canal boat on the Erie Canal (Erie Canal, the first important man made waterway in the United States.It is a new part of the New York State Barge Canal. The Erie Canal extends from Buffalo on Lake Erie to Albany on the Hudson River. It connects the Great Lakes with the Atlantic Ocean at New York City. The canal was built by the State of New York from 1817 to 1825 through the efforts of Governor DeWitt Clinton. The original canal was 363 miles long 28 feet wide at the bottom and 4 feet deep. Travel time from Albany to Buffalo was cut from 10 to 3« days by the canal. The Erie carried many emigrants westward into Michigan and further points west.) They most likely took the steamer, "Michigan" (The Michigan was launched at Detroit in 1833 and until 1837 was regarded as the finest steamer on the Upper Lakes. The builder and owner was Oliver Newberry of Detroit). Traveling early in the Spring of 1834 they most likely ran into some fearful storms on Lake Erie. James bought government land, patent dated 4 May 1834, about 1« miles west of Monroe St on Michigan Ave. The land now lies in the two cities of Dearborn and Dearborn Heights. When they first settled here, the trail was too narrow for a wagon and they had to carry their furniture through the woods. Their first home was built on an old Indian trail cut through the woods and coming out to the main road about 1 miles west of Dearborn. Tradition says that James was Roman Catholic, and Alice, Anglican. We believe that the first three children were baptized as Roman Catholics in New York City. When one of the others, probably Lucy, the first to be born in Michigan, was to be baptized, the priest kept them waiting so long that James left the church in disgust and they joined the Methodist Church. In 1856 they built a frame house in which they lived until they died. In 1850 James was a farmer in the Dearborn Tp., Wayne Co., MI. In 1870 they were retired living in Dearborn Tp., next to his son, George (census: 1850, page 276, family 48; 1870: page 50, family 85). Children of Alice Marsh: Nancy #2; Marie #3. Children of James and Alice Moore: John #4; Richard #5; William Boardman #6; Lucy Ann #7; Sarah Elizabeth #8; Alice #9; George Edwin #10; Mary Jane #11.